Tinnitus is very common, affecting an estimated 50 million adults in the U.S. For most people, the condition is merely an annoyance. 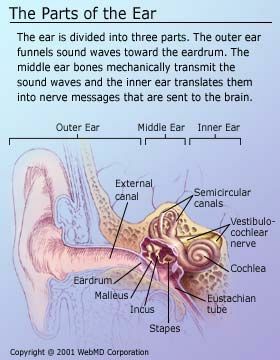 In severe cases, however, tinnitus can cause people to have difficulty concentrating and sleeping. It may eventually interfere with work and personal relationships, resulting in psychological distress. Certain drugs -- most notably aspirin, several types of antibiotics, anti-inflammatories, sedatives, and antidepressants, as well as quinine medications; tinnitus is cited as a potential side effect for about 200 prescription and nonprescription drugs. Tinnitus can worsen in some people if they drink alcohol, smoke cigarettes, drink caffeinated beverages, or eat certain foods. For reasons not yet entirely clear to researchers, stress and fatigue seem to worsen tinnitus.